A newly-remodeled Walmart reopened Friday in Henderson. There are some new features at the location at 540 Marks Street that customers might notice, all to stay relevant and compete with growing threats from online stores like Amazon. 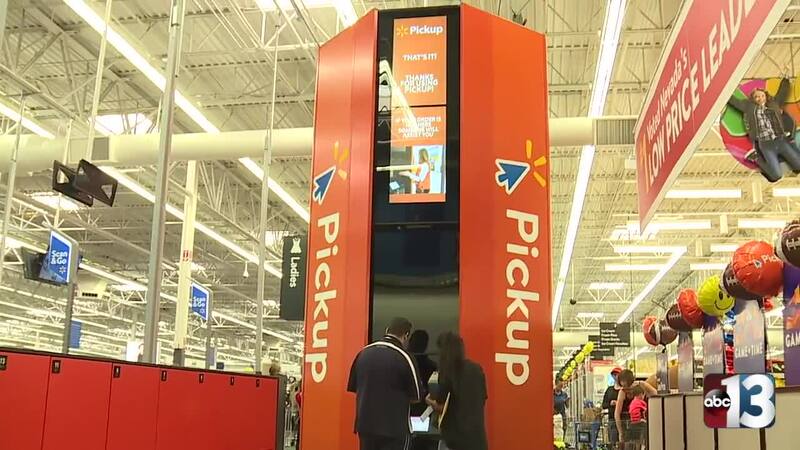 Pickup Towers are 16-feet-tall and function like high-tech vending machines, capable of fulfilling a customer’s online order in less than a minute. To use the tower, customers simply choose from items available on Walmart.com and select the Pickup option at checkout. When the item arrives at the local store, an associate loads it into the Pickup Tower and the customer retrieves it by scanning a bar code sent to their smartphone. Other improvements include an electronics department with interactive displays, an updated Walmart MoneyCenter with a new look, a refreshed pharmacy with new consultation room, new tool department with a new look and added variety of tools, addition of self-checkouts at the front of the store to save customers time, updated apparel departments with new signage and fitting rooms, new Walmart Pickup Kiosk available to increase convenience and new layout and larger assortment in Home department.